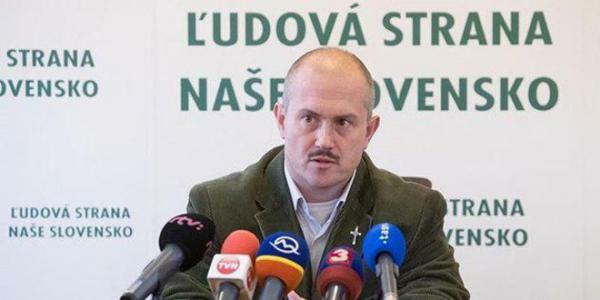 Slovak Parliamentarian, head of People’s Party-Our Slovakia, Marian Kotleba, has criticized as “meaningless and cause suffering of civilians, especially children”, the European unilateral coercive measures imposed on Syria. Kotleba said in a statement published on the website of his party on Sunday that all those who met the European parliamentary delegation visited Syria last month, demanded the need to work to cancel these measures. “Instead of trying to understand the situation in Syria, the Slovak government supports the countries responsible for the crisis there,” he said criticizing the slovak’s government submission to dictates of the US administration. “ The time has come for the Slovak government to stop its submission to the US administrations.” Kotleba added. Kotleba announced his candidacy for the upcoming presidential elections scheduled for next spring.